Saturday night offers a pair of album release gigs that are totally worth your time. Busy as a support player in innumerable projects, Patrick O'Reilly's Wire Circus releases its long-awaited second album (with a couple fab solo sets starting the evening off) while Mike Smith (also busy as a support player in innumerable projects) will be trading off songs with Pete Johnston's Stranger Still project as both celebrate two more beautifully-designed albums from the All-Set! label. Recorded at The Tranzac (Tiki Room), February 23, 2019. 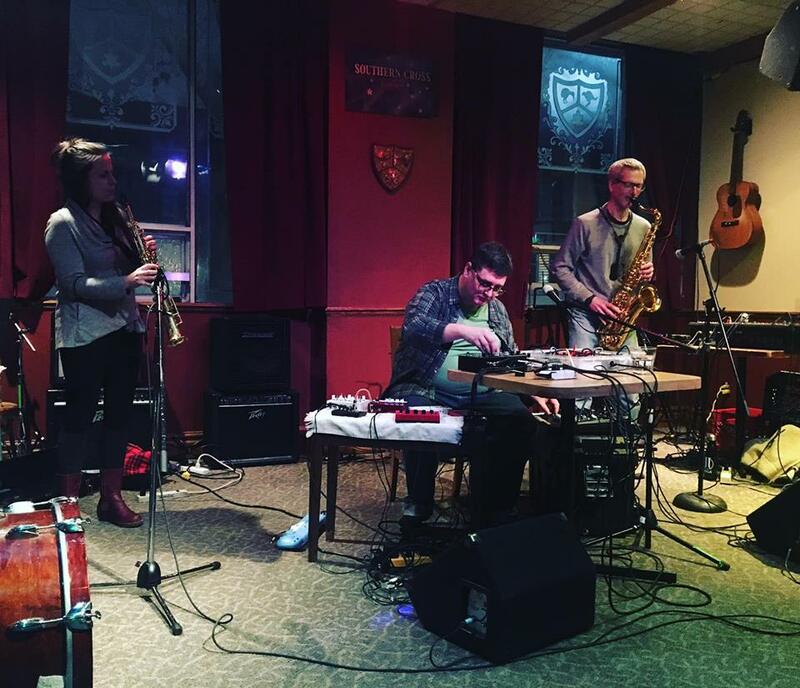 Nearly a year to the day after recording what would become their first album, Emily Denison (trumpet) and Andrew Furlong (double bass) reconvened to celebrate Labour of Luck, the first tape on Patrick O'Reilly's W/DRWN label. 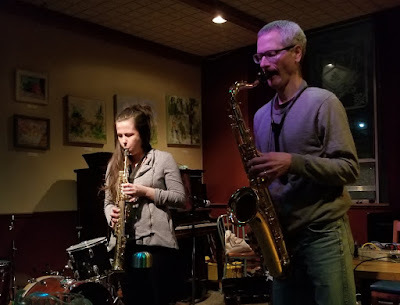 Skronking and scraping in louder swells (as well as quieter, lean-in stretches) the pair augmented their instruments' standard sounds with extra breath-bursts and percussive explorations. Denison, having decamped to Montréal, is a less-frequently seen figure than previously in these parts, but in time, there will surely be more labours/luck from this pair. 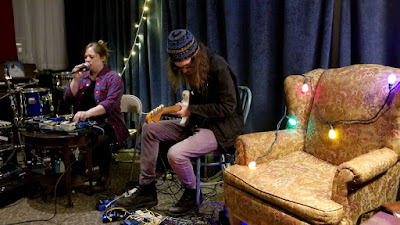 This celebration of W/DRWN's first tape was also a preview of a forthcoming one, with Patrick O'Reilly & Laura Swankey preparing to record together. Based on the quality of the performance, this set was album-worthy on its own, through it'll be delightful to hear this duo rendered in something a bit less lo-fi. The pair had enough DD-7's on hand to delay a train, while Patrick O'Reilly also brought out one of his 4-track recorders along with some endless looping cassettes to quadruple the glitchy gloop from his 16 Second Delay. 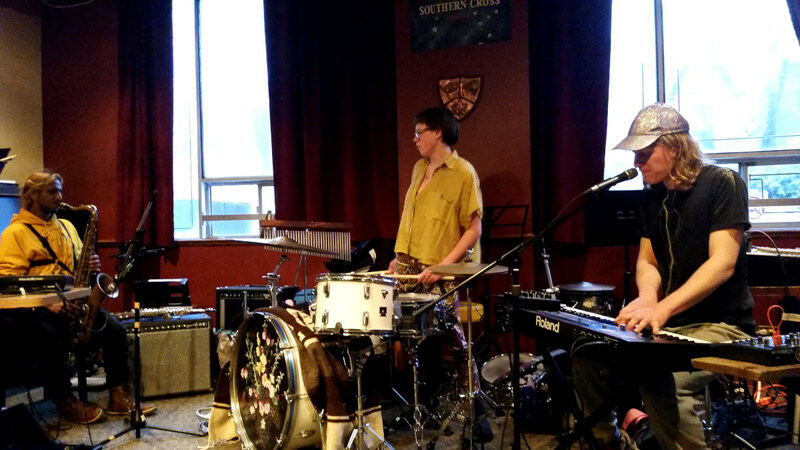 Recorded at The Tranzac (Southern Cross Lounge), February 20, 2019. 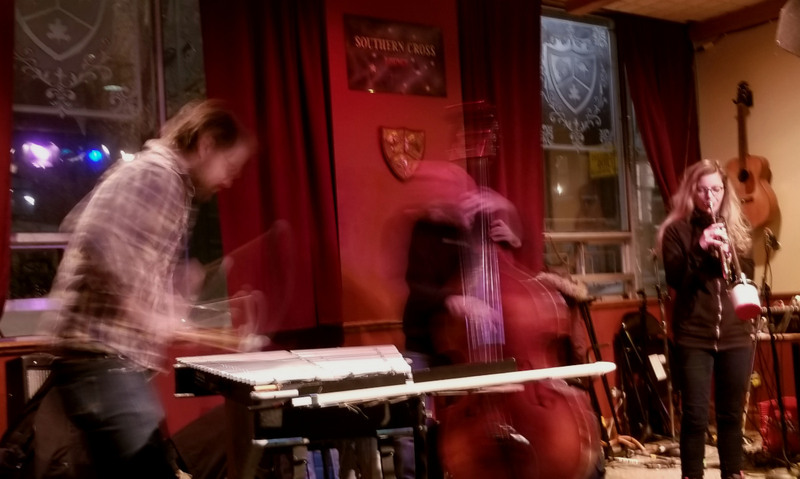 Unlike the previous time I saw these three musicians performing together, this was more traditionally structured as three sets from a trio, but there was still plenty of room for individual expression. With traces of tango music wafting over from the Main Hall, this crew went on a graceful traipse through some mellower zones, with even occasional rattles and clanks not marring the restful vibe too much. I've had an ongoing interest recently in using my pedals and whatnot as an instrument to manipulate other people's playing. 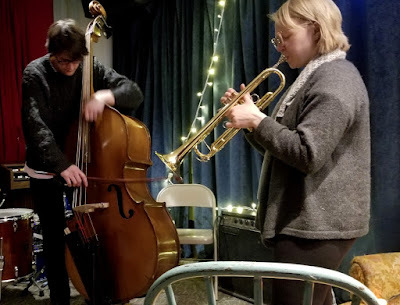 It's a kindness for a musician to go to a slightly vulnerable place and give up some control of what sounds their instruments produce, so I'm fully grateful that Kayla Milmine and Paul Newman indulged me in closing out this album-release night with this sound-processing experiment. It can get a bit trippy when it starts to become unclear who's doing what, but I was rather satisfied with how this came out. Sometimes, certain memories keep bubbling up to the surface. At some point, a floaty, drifty feeling in some music I was making put my mind back to the lakes I'd canoed over when I was a kid living in Saskatchewan. And that brought to mind a particular story that had stuck with me all my life, but that I had rarely told aloud. The end result of all this was Four Lakes in Prince Albert National Park, which in turn lead to this release show, celebrating a limited (and quickly sold out!) CD-R run from Arachnidiscs Recordings. For this set, I managed to pull off the talking story that's at the heart of the record, as well as this piece presented here — a fifth lake, if you will. Rather than the canoe glides of the album's works this memory is at motorboat speed (as expressed by the underlying rumble) and a sense of feeling dwarfed by the giant lake (the largest one fully contained a National Park). I don't know if people fishing in P.A.N.P. still use hunks of frozen beef heart for bait, but the memory of it being next to the Mr. Freeze I was eagerly hunting for at the Hanging Heart marina's shack is in this somewhere too. I was delighted that two of my fave players agreed to do a set to open things up for my album release celebration — as heard here, their seeming mindmeld creates some supremely-satisfying simpatico stereophonic saxophonic scenarios. That they were even open to having their sounds manipulated with some pedal knob-twisting was even cooler. 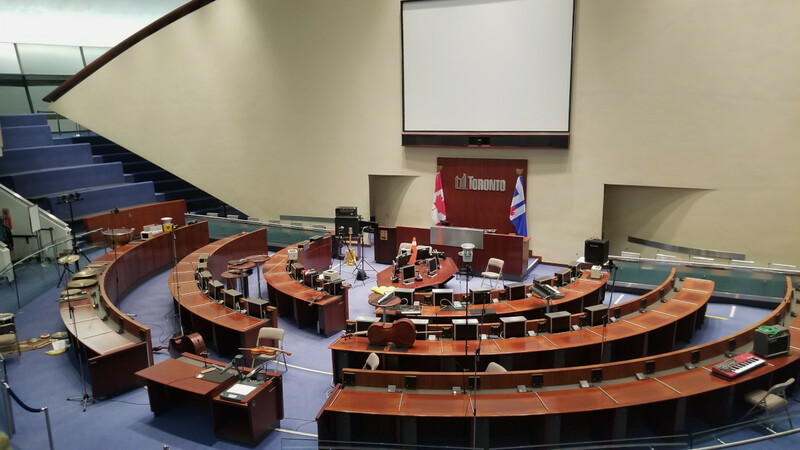 Recorded at City Hall's Council Chambers, February 17, 2018. The beginning of a new form of composition from Pauline Oliveros, this piece for open ensemble has guidelines, but few musical directives, meaning there are a wider range of possible sonic outcomes than with a through-composed piece. With simple instructions and shared light cues, this large ensemble of musicians and non-musicians weave together a drone symphony, a slow-moving sound-river that invites closed-eye meditation (though, especially in an environment such as this, also some open-eyed gawking at how the spectacle is creating itself). The participant list reveals artists from many fields coming together to make these sounds: Anne Bourne, Allison Cameron, Victoria Cheong, Prices Easy, Ishan Davé, Ellen Furey, Thom Gill, Claire Harvie, Ame Henderson, Brendan Jensen, Germaine Liu, Bee Pallomina, Liz Peterson, Heather Saumer, Brian Solomon, Anni Spadafora, Evan Webber, and Christopher Willes. 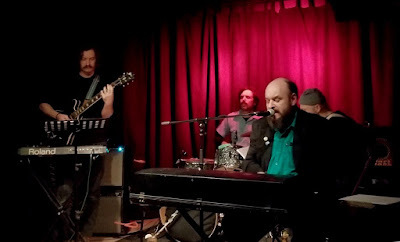 Recorded at Burdock Music Hall, February 16, 2019. That long wait for Rosy Maze seems a distant memory now, with the new Trust An Amateur marking Chris Cummings' fourth album in a four-year span. Although after the "asides" of I'm Willing's covers and Anchors & Ampersands' re-evaluation of older songs, the new one is the first "proper" album in a while. A real songwriters' showcase, the focus is really on Cummings' words here, with the music stripped back to an old-school Wurlitzer and drum machine approach. This album release celebration had a stripped back "classic lineup" vibe as well, with Cummings backed by longtime collaborators Jay Anderson, Matt McLaren and Andrew Scott giving a bit of a different feel to the new album's material. One interesting wrinkle in Trust An Amateur is the increased use of suites linking shorter songs together (for an avid film buff like Cummings this is surely akin to the use of montage to comment on characters and situations) and the live show gave a two-fer that's not on the album with "Fly Away" and opener "Silver Morn" joined together. The mid-set dip back through the hits included this take on "Conundrum", reduxed on last year's Anchors & Ampersands but with its origins all the way back on Cummings' first album Doin' It All back from when he was also a Wurlitzer-and-drum-machine-only guy. An exciting night of new songs and new beginnings from one of the city's top songwriters. Backed by Jeremy Costello, Nick Dourado and Bianca M. Palmer (longtime bandmates in Special Costello, and also seen recently in these parts as the core of Beverly Glenn-Copeland's backing band) Simone Schmidt is promising a new sound and new songs ("decidedly not about an insane asylum, all decidedly about the present"). Recorded at The Tranzac's Main Hall (Sound For Silence II), February 14, 2019. This Valentine's Day special served to celebrate a very special love — one felt by a whole series of communities for the Tranzac. 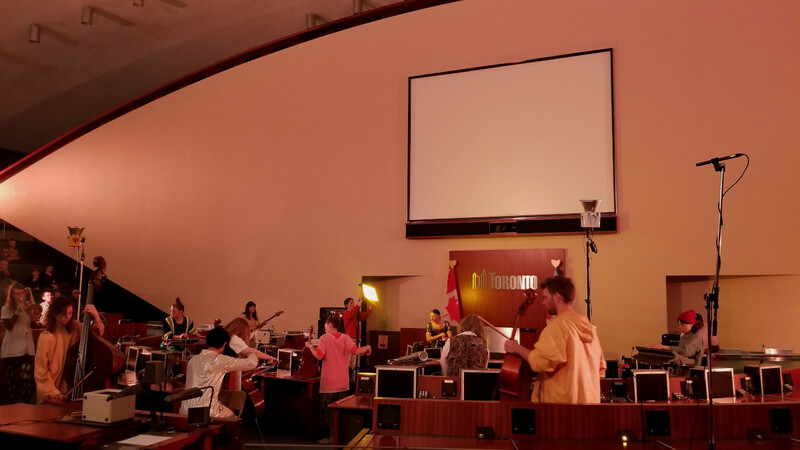 With all three of its performance spaces often busy all at once, the sounds from one room can often bleed into the next — theoretically charming in its way, but also disruptive when it happens at an intense or quiet moment of a performance. 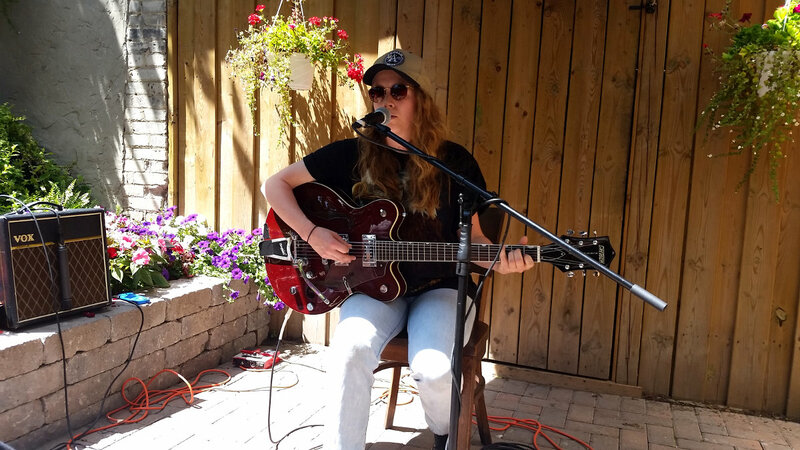 Fundraising efforts to enhance the rooms' sonic isolation have been underway for awhile now, with this night featuring a silent auction as well as a slate of musical talent drawn from several of the divergent scenes that call the Tranzac home. A band like this, with Lindeman and Whiteley joined by Sam Gleason (guitar), Geordie Gordon (piano/synth) and Evan Cartwright (drums) played with the effortless excellence of session pros, but also the casual joy that can emerge when there are places like The Holy Oak or The Tranzac to incubate their talent and telepathy. 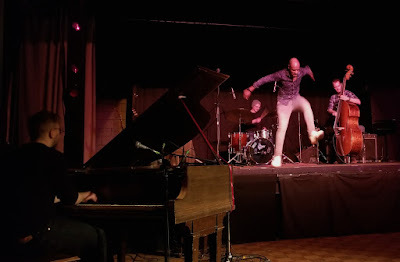 Anyone visiting The Tranzac on a Sunday night lately might have noticed the burgeoning crowds in the Tiki Room, with a rotating crew of musicians providing live accompaniment to tap dancers. The Jazz United Jam is Travis Knights' celebration of jazz culture, featuring live percussive movement from him and anyone else who brings out a board. It's also an intriguing meeting place for musicians, with veterans of the city's jazz scenes mixing with a whole slew of emerging players. This all-star distillation of the Sunday night jam not only gave Knights a much larger stage to dance on, but highlighted three of the younger players that often host and handle the organizational side of the music end of things: Kristian Fourier on piano, Devon Patton on bass and Keagan Eskritt on drums. You might not have known that there's a tap dancing scene in this city, but it's one more cool cultural tendril that finds a home at The Tranzac. 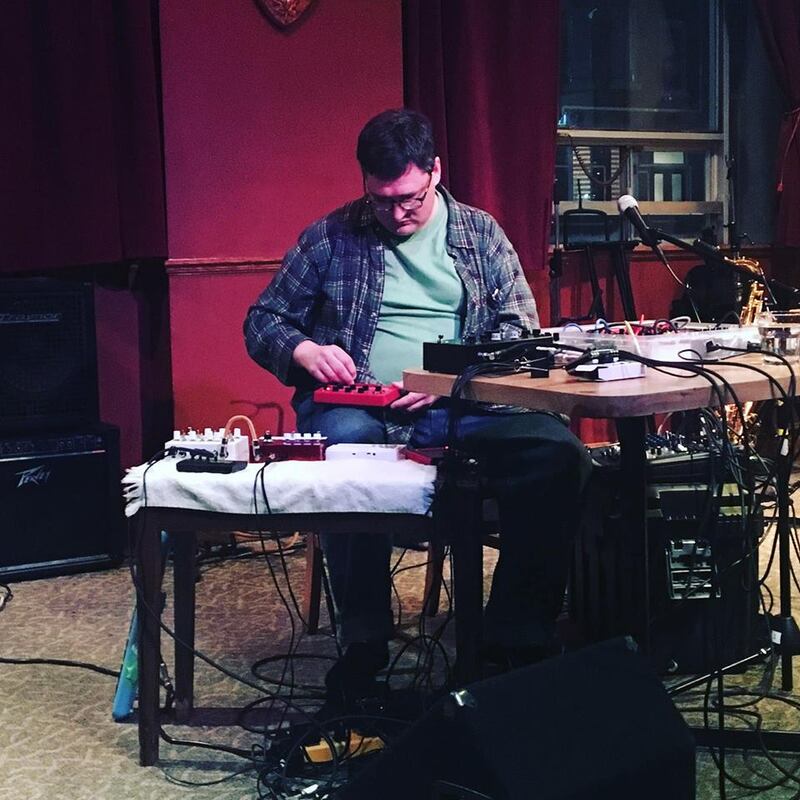 Recorded at Array Space (MFS 10th Anniversary Celebration: A Night of Improvised Music), February 10, 2019. Every year around Valentine's Day, I tend to remember that it's this blog's anniversary. Then I check back to that first entry, see I'm already a day late, and go on with life. This year, I was thinking about it well ahead of time, and seeing that big, round (and mightily unexpected) tenth anniversary approaching, it seemed befitting to do something a little special. That ended up being a pair of shows, conceptually split into "improvised" and "rock" nights. 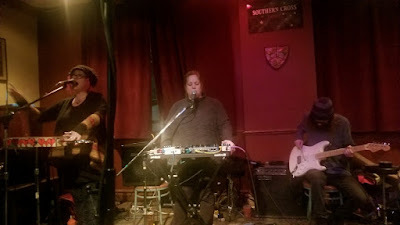 For the former, Somewhere There helped out by lending me their regular second Sunday of the month slot at Array, and from there, it was just a matter of winnowing it down from the dozens of people that I wanted to ask to play. It was a no-brainer to ask Allison Cameron to play, as her work as an improviser has inspired and taught me so much. By sheer good luck, three busy schedules aligned and I managed to wrangle a rare show from the "new" Allison Cameron Band (and, as far as I know, their first away from the Tranzac) where Cameron's banjo, keyboard, toy hedgehog squeezebox and tableful of Honeytone mini-amps are augmented by Kurt Newman's guitar and Thom Gill's guitar and synth. There's been talk of working out some pieces for this group to play, but for now, it's just improvisations finding intriguing meeting points in loud and quiet places. For the former, Somewhere There helped out by lending me their regular second Sunday of the month slot at Array, and from there, it was just a matter of winnowing it down from the dozens of people that I wanted to ask to play. There are a lot of projects get shuffled into zombie mode — not dead, just shifted into the inactive pile as other artistic endeavours (or, just life) get in the way. Sometimes it just takes a "hey, whatever happened to...?" kind of conversation to stir something back up, and looking around for a special "reunion"-type set for this show, I managed to get The Knot back on stage. 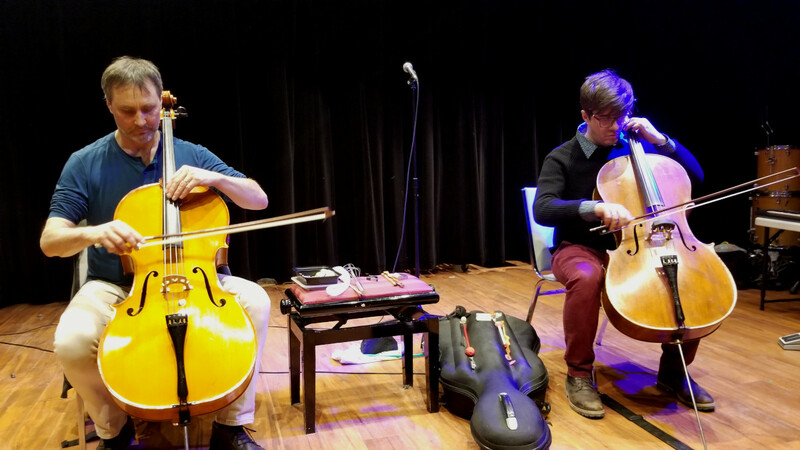 This duo for acoustic (and often prepared) improvising cellos from Tilman Lewis and Nick Storring were regulars on the scene a little while back, but besides a tape a couple years ago there hasn't been much activity. But right from the start, the pair fell into some nice zones bowing (and not bowing) their cellos, gliding from rough skronks to double-barrelled pointillistic plinks. For the former, Somewhere There helped out by lending me their regular second Sunday of the month slot at Array, and from there, it was just a matter of winnowing it down from the dozens of people that I wanted to ask to play. It's also one of the perks of putting on a show like this that I could "curate" a set, and throw together a band — like this one — that didn't previously exist. Christine Duncan provided the band name along with her voice and she was joined by Laura Swankey (vox, electronics), Nilan Perera (guitar) and D. Alex Meeks (percussion). The whole thing gelled in a quite satisfactory way, moving from abstract soundscapes into an impromptu spoken word piece from Duncan describing her week's events (three words: Snowmageddon in Seattle). Now I might have to put on another show to make sure this group plays a second time!